With the start of a new year, a lot of new pets have arrived at KC Pet Project which means we are FUlL! 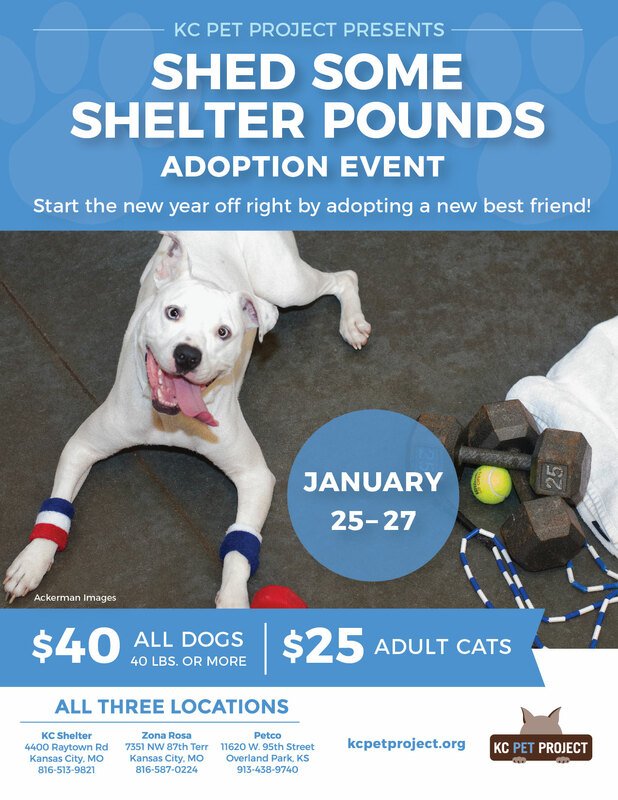 We’re looking to “Shed Some Shelter Pounds” this weekend during an adoption event that will feature dog adoptions for $40 (for all dogs 40 pounds or more) and adult cat adoptions for $25 from January 25th-27th. Adopt a new best friend this weekend and view all of our adoptables at www.kcpetproject.org or our free mobile app.